Giving back to the community is a passion of the Engineering Society and we run many charity and outreach initiatives each year centered on giving back to the KW community and to the engineering profession. Our charity events raise money for a cause chosen by the engineering students at Waterloo. Some of our more popular events are listed below. Please check the Engineering Society calendar here for upcoming events. Education outreach is a program that aims to bring engineering into he community and get kids excited about pursuing a career in engineering. 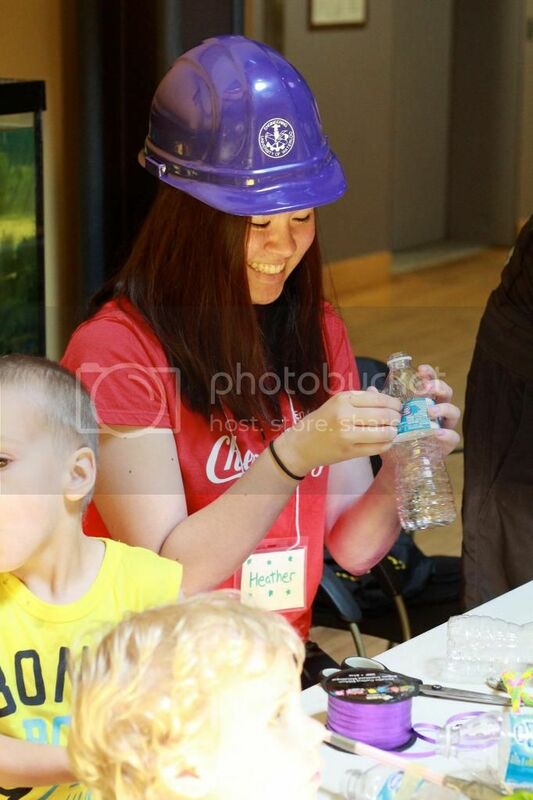 In partnership with THE MUSEUM in Kitchener the Society has run many activities on weekends including bridge building, rocket cras, egg drops, and exploring surface tension. EngSoc likes to give back to the KW community in many ways, and having a fantastic volunteerism program helps to make that happen! This past year, EngSoc participated as marshals in the Walk to End Alzheimer’s, and volunteered to teach seniors how to use technology, to name a few of the program’s successes. Almost every winter term since 1977, Waterloo Engineers have raised money for a local charity through an event known as Bus Push. Over the years, the “push” has evolved into a “pull” with a thick rope attached to the bus. The route spans approximately 6.5 km. It starts at UW, then proceeds down University Avenue, onto King Street, and ends at Kitchener Market Square. The KW Santa Claus parade is a fixture in the community that the Society is proud to participate in every year. A float is assembled in collaboration with some student design teams and volunteers walk the route with the float distributing candy canes to on-lookers. Each year at Columbia Ice Fields the University of Waterloo puts on a large Canada Day celebration and the Engineering Society as a collaborator helps run games for the children in attendance. The Tool is also available for pictures and many children have had a picture with our beloved mascot every year. Every year since 2013 the Waterloo Engineering Society has sent a group of engineers to show our support for the LGBT community in the Toronto Pride parade. The Tool and it’s bearers typically make a colourful appearance a top the Society float.